When I think about the most important battleground which will be fought in 2019 that’s going to impact an MSPs future success or failure, it’s definitely customer experience (CX). As a fellow MSP we’ve been thinking about CX for a long time and it’s probably the reason our MSP has scaled organically to over $8M in revenue compared to the average MSP which is around $1-2M in revenue. But I think the pressure to win clients and keep clients is going to heat up significantly this year. The market is saturated with MSPs all competing to win valuable monthly support MRR deals. How are you going to stay one step ahead of the pack? Seriously how are you going to do it if you’re selling the same services and use the same tools? When a client hears three (3) pitches to outsource their IT, how is your presentation going to be any different from the other MSPs before you? You can’t use price to differentiate since that’s a net losing game that only devalues your professional service. The reality is you probably sound the same. Sorry but you do. So where are successful MSPs focusing their time to beat you to win more deals? Yep, it’s that simple. 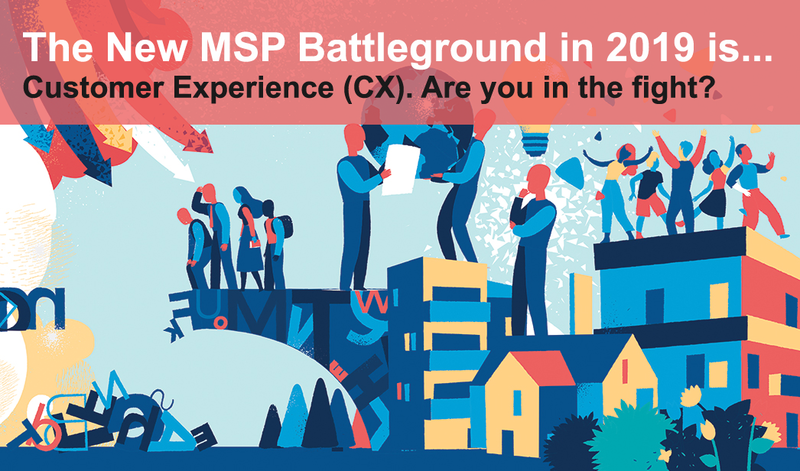 Successful MSPs of any size realize the new battleground is around the customer experience (CX). How fast you respond to sales calls for example? We won a deal in January 2019 for $4K because we were the only one to respond quickly when the client got 3 referrals to call AND their CEO felt our presentation was the best IT support presentation they have ever seen – their words not mine! What are you telling a prospective client they are going to get on day one that you commence your services? A box of chocolates, a branded mouse pad or squeezy ball? How do you present your proposal? Do you tell a story? Do you think about your presentation as the first step in the customer experience? What order do you explain your presentation? Do you sell good, better, best? Are you still giving clients a phone number and email address? Successful MSPs ask themselves these questions every day, every week. They strive to improve the customer experience so they can differentiate their services, wow their customers. They win more support deals. They have lower churn. They get more referrals and have higher net promoter scores (NPS). There’s a great book called Purple Cow which talks about why it’s so important to differentiate and be ‘remarkable’ in a cluttered market. Read more here. My MSP built ITSupportPanel to be our ‘one pane of glass’ customer experience ‘anchor’. It underpins our entire service experience. The problem we were solving was we never got the right information via email (support@) and so we had to constantly triage the tickets (wasting time) as they came in OR we had to go back and forth with the customer playing 20 questions. We also wanted a better overall customer experience than stickers, mouse pads and the RMM Agent which was to basic. And guess what clients love it  AND we increased productivity significantly! But we didn’t stop there, we focused on everything. How we present our services, how we present ourselves, the order of our presentation, how fast we respond to sales calls, how we on-board clients, how clients contact us, what customization can we give them to make them feel special, warm and fuzzy. Let’s use client on-boarding as an example. Imagine on day one (1) sending a new customer a branded push notification saying ‘WELCOME TO OUR SERVICES’ which then links to a cartoon ‘how to use our services’ video. Do you think they would be impressed? Of course, that’s next level CX awesomeness! In 2019 I challenge you to focus your attention on customer experience. I read Reddit, I’m in the communities and it seems to be the one thing that MSPs aren’t focusing on. They don’t talk about it. They don’t focus on it. But you know what, the successful MSPs of any size do think about it. A lot. They put the customer first. They think about how to make the experience of their services ‘remarkable’. You want to know the secret. Well here it is. It’s been right under your nose the entire time! If you’re not focusing on Customer Experience (CX) in 2019 you’re not even on the battlefield. Get in the game, otherwise slowly but surely you’ll get left behind and let your competitors reap all the rewards. 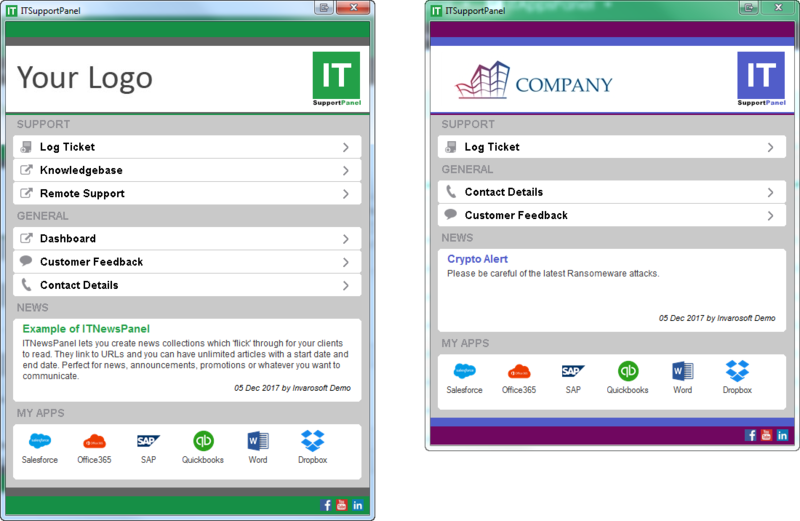 As a fellow MSP I would definitely consider our desktop and mobile App ITSupportPanel. It’s the only customer facing CX tool designed to help your MSP delight customers, improve productivity and win new business. If you want to learn more about customer experience, watch the video below. Good luck. You have been warned ⛔. Ready to replace support@ with an App? If you’re ready to join the battlefield with the best customer experience (CX) tool in the market, then book a demo of ITSupportPanel.